Is it not said that the way to a person’s heart is through their stomach? If you’re a whiz in the kitchen (or even if you’re not!) cook your Valentine a tasty homemade meal. You could make their favourite dish, or a special meal that means something to the both of you — perhaps the meal you ate together on your first date? Whatever you choose, your efforts will not go unnoticed! February can be a very cold month in Ottawa so spend the day looking after your Valentine, as well as yourself, by having a DIY spa day at home! You could spend the morning making your own bath salts, body scrub, or face masks and then enjoying the fruits of your labours in the afternoon. Take the time to pamper one another and just enjoy each other’s company. 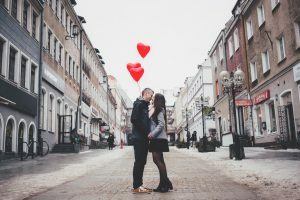 Send your Valentine on a scavenger hunt with hidden notes that detail all the special moments of your relationship and the private memories you both share! You could keep it indoors or, if you’re especially adventurous, send them across the city to all your favourite places. Be as creative as you can! Do you have a way with words? Then consider writing your Valentine a poem or story from the heart. Perhaps you’d like to write the story of how you met, or the story of your relationship to date. You could even write about where you see your relationship taking you in the future! Make a personalized playlist for your Valentine with all of their favourite songs and the songs that have made your relationship so special. Better yet, listen to this special playlist over the delicious homemade dinner you’ve prepared! Look back on photographs of your relationship and remember all the good times you’ve shared together. Put down the TV remote and cell phones and focus on one another for an entire evening by sharing stories and memories of the magical time you have spent together. How are you spending your Valentine’s Day this year? We would love to know! If you are looking to buy or sell a home this year, our team of expert RealtorsⓇ would be delighted to help you. Contact the team at Royal LePage Performance Realty today!